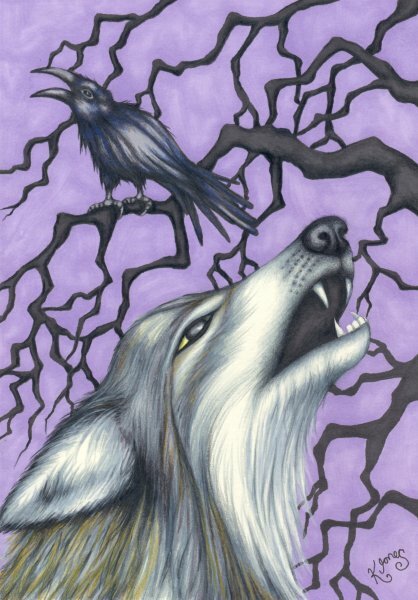 A howling wolf and calling crow, inspired by Graham Hardie’s poem, ‘Wolf and Crow’. I produced this illustration especially for Graham Hardie’s website. You can see it in situ and read the poem here.